Judith Crabtree has been a Woman’s Health Care provider for over 40 years. She brings a wealth of compassion, knowledge and clinical experience in meeting the many changes through a woman’s reproductive to menopausal lifespan. She worked for many years in reproductive endocrinology. 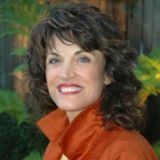 She is currently specializing in hormonal balance for men and women. Her holistic approach to creating a health plan incorporates nutrition, exercise, supplements and other life style changes. A customized treatment plan for each individual is formulated with the use of genetic screening, comprehensive laboratory studies and a detailed personal and family history. The goal of her practice is to restore the patient to a balanced center physically, mentally and emotionally. She also provides yearly health screening management, annual medication refills, contraceptive services, and interstitial cystitis diagnosis and management. Copyright © 2019 Perfect Balance Healthcare. All rights reserved.